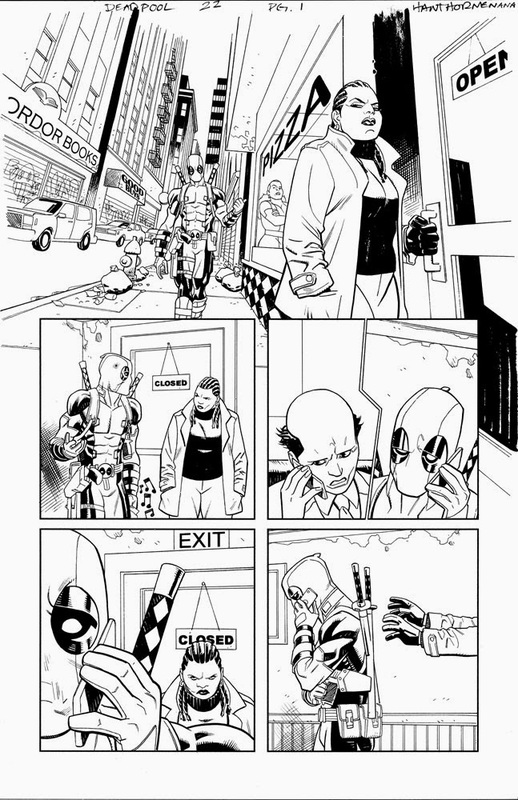 Mike Hawthorne: Deadpool news! Interview and preview! Thas' alotta "views"! Deadpool news! Interview and preview! Thas' alotta "views"! Read my recent inteview about returning to Deadpool! Peep the new previews for Deadpool 22! A baby's first steps interrupted by poo! So sick man. Fantastic work. Deadpool 21 in stores NOW!